In the 21st century, you simply cannot afford to have your website go down for an extended period of time for any reason. In today’s world, your website is like an extension of your office, your store, or your workplace. With that said, it’s important to protect yourself from the many things that can go wrong with your website in order to keep your site up and running. We all want to know how to stop hackers, but many companies forget to consider this when developing their IT disaster recovery plan. As a customer with Akin IT Services, we understand this and definitely want to provide you the best opportunity to avoid issues. Furthermore, should issues arise, we want to ensure the fastest recovery for your website. Do the best job we can to protect your website from hackers and hacking attacks. Provide you a backup service so that disaster recovery is immediately available to you should your website ever be brought down by any catastrophe (ie: hacking, server failure, etc.). Maintain 4 weekly backups of your website at any given time. We will back up your site weekly, and will maintain the last 4 weeks of backups for your website. We will install access restrictions to your site that are designed to deter hackers from accessing your web space. For our content management system sites (Joomla, WordPress), we will install security applications designed to stop SQL injection attacks. This application will automatically block the hacker’s IP address from future attacks, and we will manually block their address so they can no longer try to attack your site again. For our content management system sites, we will put in place security protection that blocks hackers from being able to see your administrative login page. Should your website go down due to server failure, hacking attack, etc., we will restore from backup without charge or charge (for reference, restoring a website generally is a 4-6 hour operation at $75 per hour). As valued customers, we are offering this program to you for $149.99 per year. To sign up, just click the link below and make your payment online. Your service will start immediately. Don’t let a computer hacker add your information to hacker sites which will make you more vulnerable to lost income from intrusion. 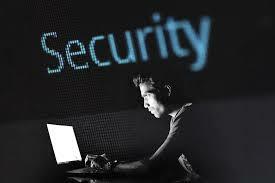 For more information on our Website Protection Service, call us at (330) 732-5460 or CLICK HERE to email us a message.